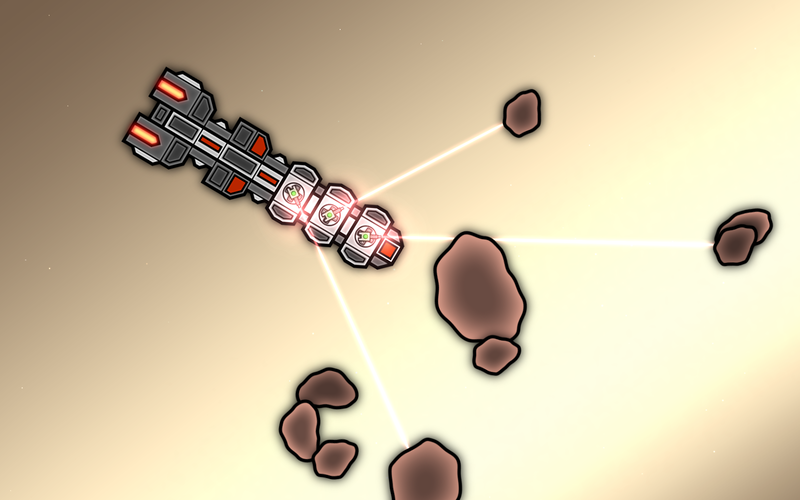 Lots of changes to mining and asteroids. 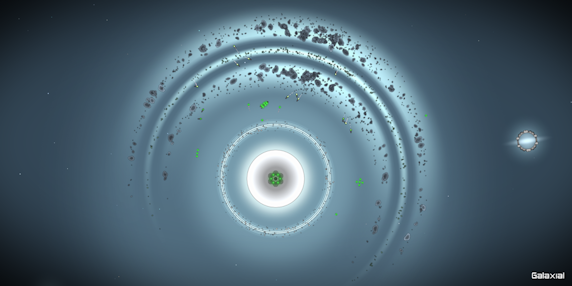 There is now just one "metal" resource that is mined from asteroids rather than the previous Common, Reactive, Radioactive and Rare metals that have been in the game until now. This is to reduce the orders micromanagement for mining ships. Now there is no need to constantly keep track of what they are mining and balance the amounts of each resource you need. 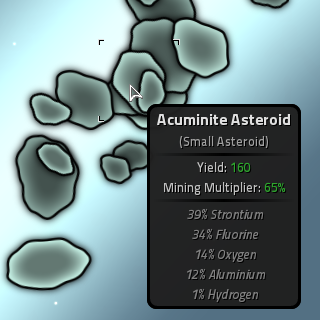 To keep some complexity there are now a lot more asteroid minerals, each having a different maximum yield and mining multiplier (accessibility). 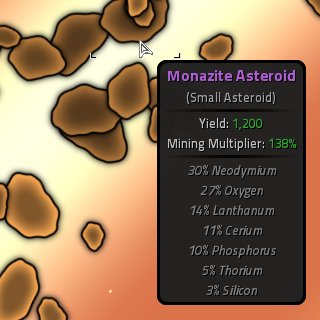 Yield is the maximum amount you can mine from the asteroid and the mining multiplier affects mining laser module speed. 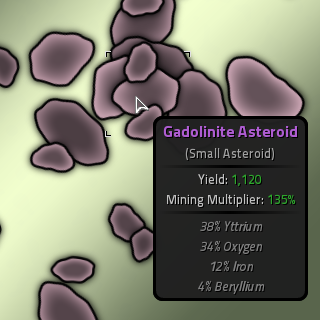 Rare asteroid minerals will be faster to mine and take longer until they become depleted, but every mineral type still provides the same "metal" resource used for building stuff. 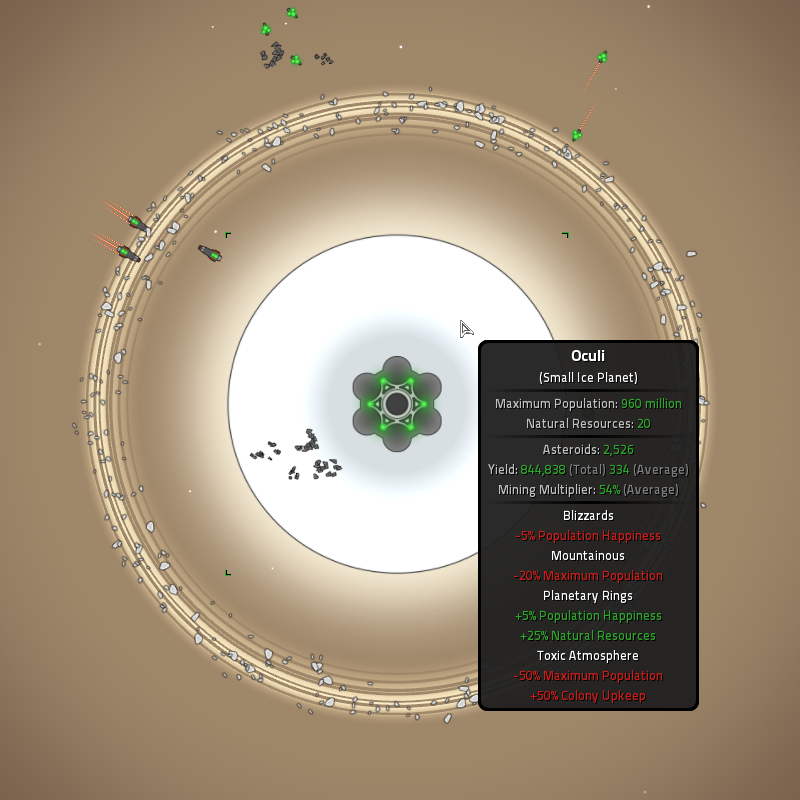 Larger asteroids have much higher yield and mining multipliers. 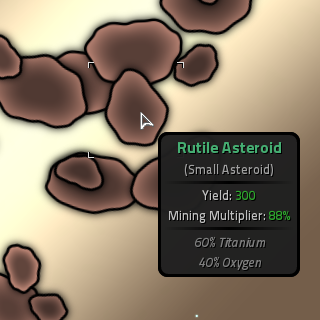 This is to discourage mining in the same asteroid belt forever if you are going to use the re-spawn option. It will still be better to look for larger asteroids. The element composition of each mineral shown on the tool-tips have no effect on gameplay, just something interesting I wanted to add. Common Minerals: Sphalerite, Chalcopyrite, Pyromorphite, Cuprite, Stibnite, Kamacite, Acuminite and Pyrolusite. Rare Minerals: Rhenium, Bromellite, Palladium, Osmium, Gadolinite, Monazite, Churchite and Sylvanite. 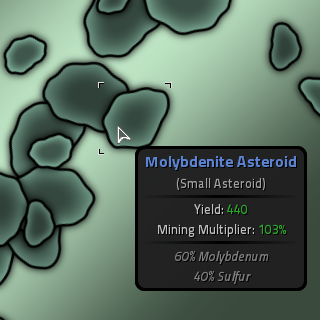 Asteroid details will be shown on discovered planet tooltips.